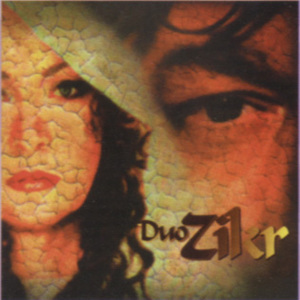 Duo Zikr was born as a totally new phenomenom of music art, as a result of searching for ways to reveal man's potentialities. Against the background of ever increasing dissociation of people and the strain of civilization, aggression and fear that tell on human souls so gravely, the musicians came to realize that the core thing in life is people, as ever before. The people's emotional experience, life and creative art. This way, a totally unusual form of joint improvisation was born where the artists, a man and a woman, express their emotional experience and images bringing together all those present in the hall - merging in the creativity space in the presence of spectators, making use of the extremely wide compass of their vocal potential in exquisite musical forms.